Many of us are fortunate to have the money we need to feed our families. But what if we didn’t?!? What would you do? Second Harvest Foodbank is there to help – but they need our help so they can serve others in need. 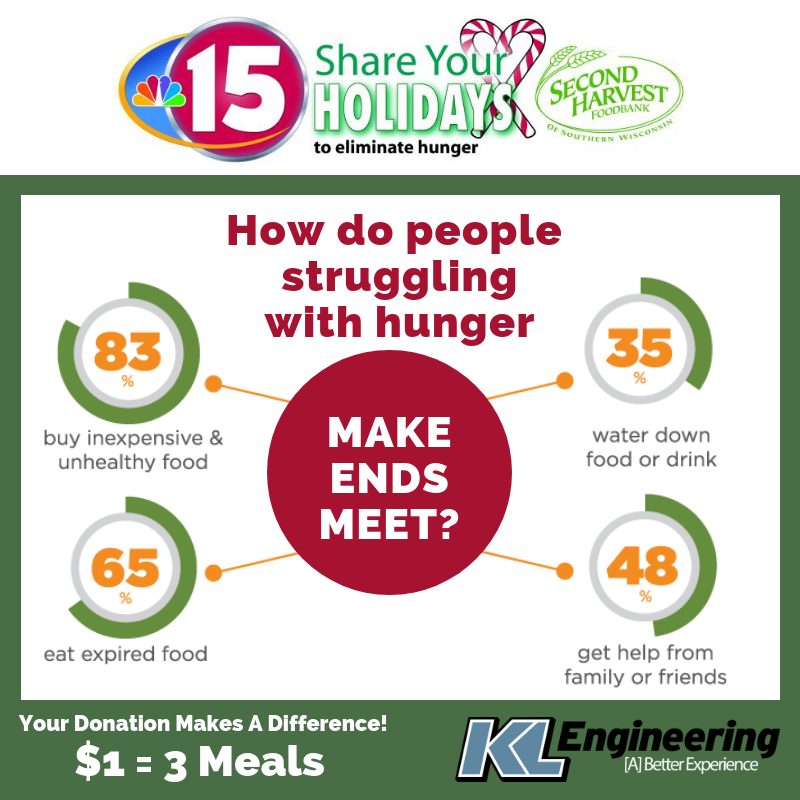 Donate today through the KL Engineering virtual food drive (credit card only): https://2018-nbc15-share-your-holidays.everydayhero.com/us/kl-engineering @SecondHarvestFoodbankofSouthernWisconsin THANK YOU! This entry was posted in News, People and tagged #SYH23, KL Engineering, Second Harvest Food Bank.